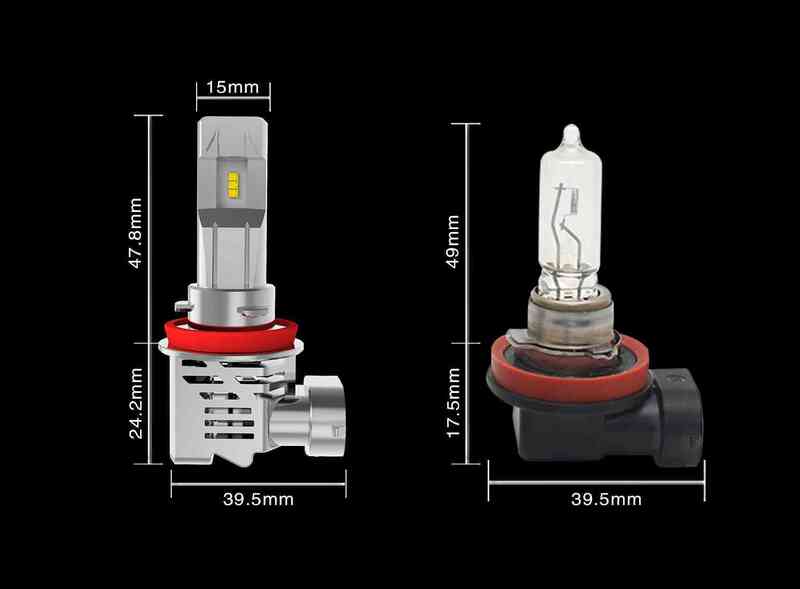 Guangzhou LEDO Electronic Co.,Ltd > News > Tech Knowledge > How to Choose a Projector Headlight Bulb for Your Vehicle? 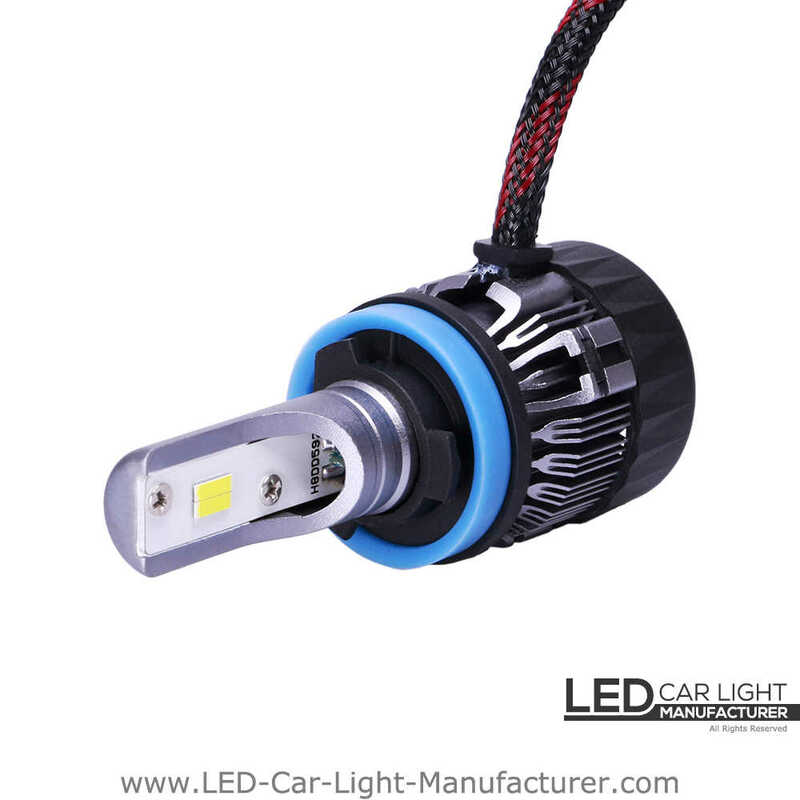 How do we define an appropriate projector LED headlight bulb? That means how do we choose a led headlight bulb for a xenon projector in a proper way. Most people prefer bright and uniform light with a plat beam pattern emits from a xenon projector. 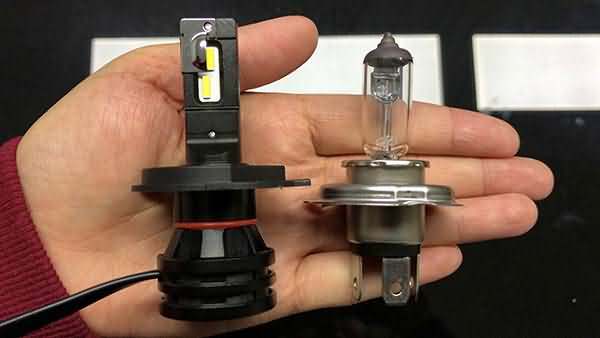 Even some people have brought very bright led headlight bulb in the aftermarket for their projector, but they feeling not that bright while driving after they installed it, because the light output did not perform well or emit enough brightness for driving for some reasons. So what’s wrong with that result caused? Before explaining that confusion, first, let’s have a look of the xenon projector that disassembles from Cadillac SRX 2016. It is a simple look at a glance. But, what’ s the function of each part? 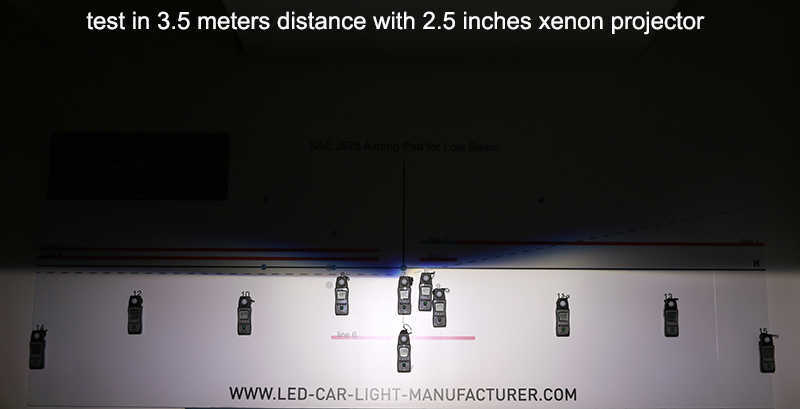 Let’s break it down so that we can know the xenon projector better. Screw out and the projector is disassembled. Now, we have a general understanding of the xenon projector structure. In short, the projector was composed with lens, shield and an internal ellipsoidal reflector. But we still do not have a concept of why those bright led headlight does not emit light sufficiently in a projector. That is relevant to the Refraction of Light inside the projector and the light bulb beam angle. The three parts of the xenon projector perform their own roles. They can concentrate the light of the bulb inside and reflect out in a correct way. The shield will block some light for glare and creates a cut-off line. The lens focuses the light in the meantime. In this way, we know the role of each part of projector plays for. The next, let’s talk about the beam angle of the light bulb. The light bulb we see in the aftermarket is usually in 320-360 degrees beam angle. But when these are used in the xenon projector, some of the light output would be reflected out. Cause the shield would block down the light that under the shield. Take two examples to understand better. Is it a little hard to understand the abstract explanation? Let’s make it simple to understand as well. 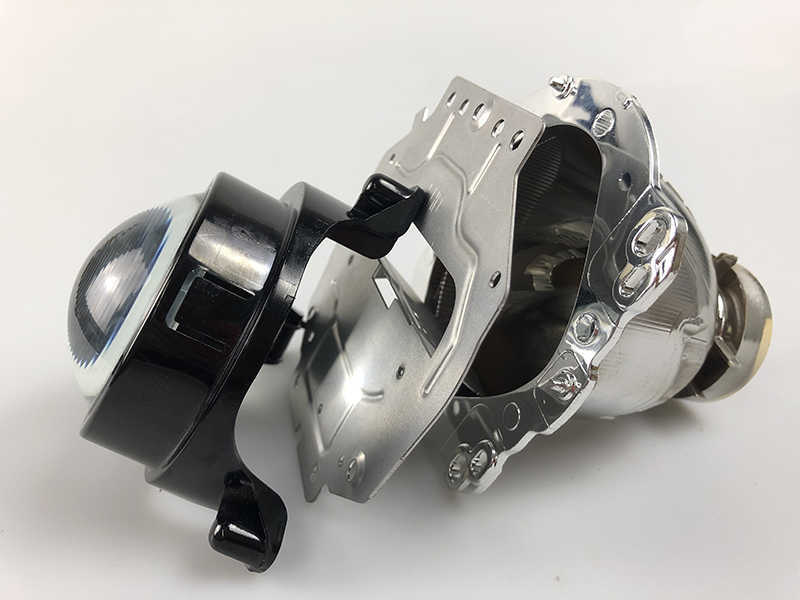 We will test 8 led headlight bulbs (F2, 360 Y1, 360 x5, 360 x6, G8L, PF, PM, PJ and 4COB) both in 2.5 inches xenon projector and 3 inches xenon projector to judge the beam pattern and the lux value as well. 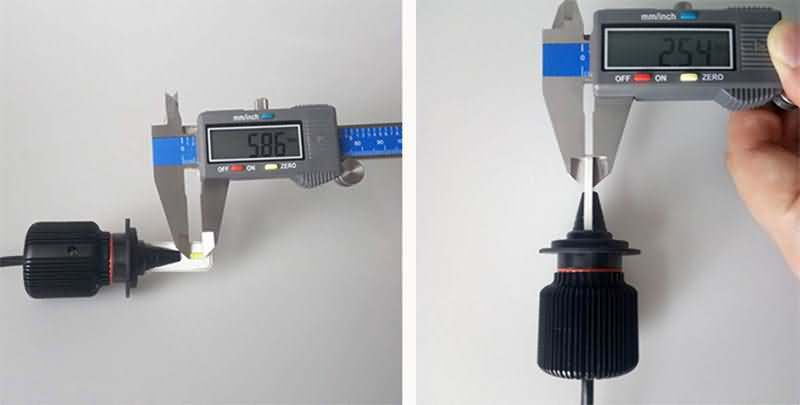 In this article light bulb test, we used the SAE(DOT) standard in 3.5 meters distance for test. Here, you can read our last article: What is a good headlight beam pattern? (DOT/ECE) to learn more about the beam pattern knowledge. Now, let’s play to see the performance. This is an F2 two-side led headlight bulb beam pattern, used in 2.5 inches xenon projector. You can notice there is a dark spot around the line 6, only bright light emits on the long distance (test point 7,9,6), that means it creates good light in the long distance but weak light in front of a vehicle. 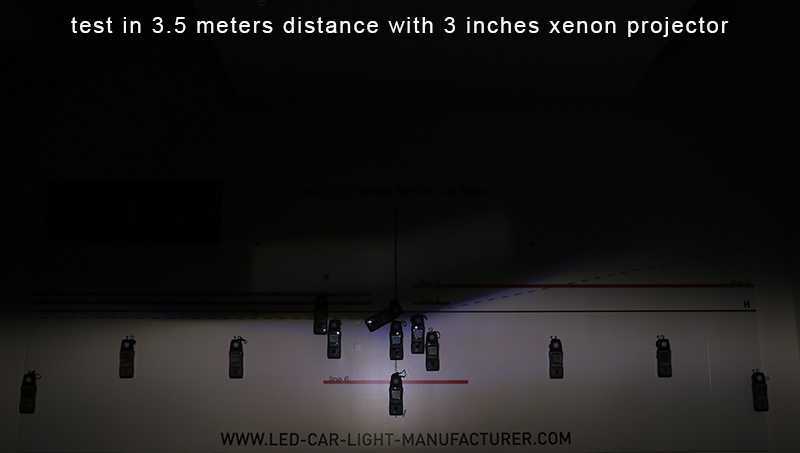 When it tests in the 3 inches xenon projector, It is the same situation in the projector. the F2 bulb performs a darkspot in the center of the beam. Here comes to the 360 Y1 led bulb. The beam angle is 360 degrees shown below. Test point 7, 6, 9 are 1230, 1756 and 1338 lux from the test, line 6 is 1171 lux, line 6 is 970.6 lux. Compared to 2.5 inches projector, test point 7, 6, 9 are 1407, 1422 and 1771 lux, line 6 is 1171 lux. Its beam angle is 360 degrees same as 360 Y1 shown as below. Test point 7, 6, 9 are 805.1, 872.9 and 908.4 lux from the test, line 6 is 851 lux. All these three bulbs have a nice light beam pattern. The hotspot position is near line 6, that is too low, that means the brightest place is near in front of the car, its about 20meters, not enough light on 50meters and 70 meters. 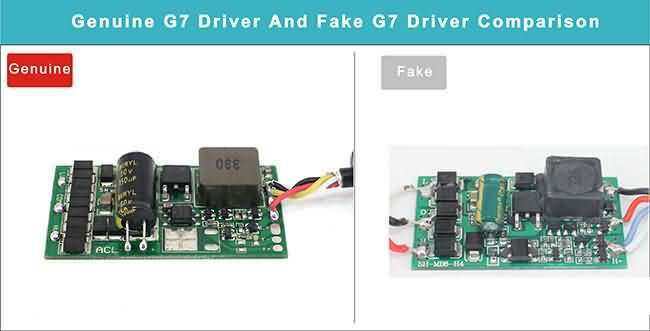 Now, comes to the one-side led chip, the first one is the G8L led bulb. Its beam angle is as below. You can see the beam pattern above, the hotspot is super bright, but both side is dimmer. When it used in 2.5inches projector, the light beam pattern does not emit with a uniform illumination for both side. The test point 7 has 1470 lux, and line 6 is 1749 lux, while the test point 14 and point 15 are 74.4 lux and 255.7 lux of both side, line 6 is 1749 lux. 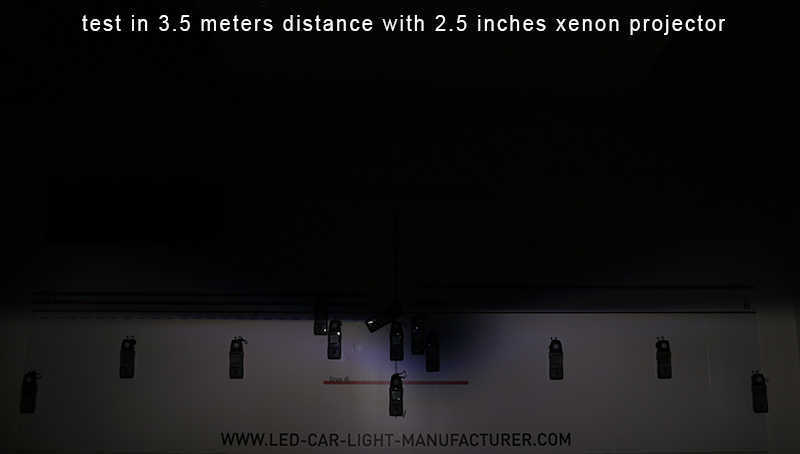 When in the 3 inches xenon projector, the hotspot is still super bright, both side is dimmer. Compared to 2.5 inches projector, test point 7, 6, 9 are 1760, 1670 and 2478 lux, line 6 is 1184 lux. 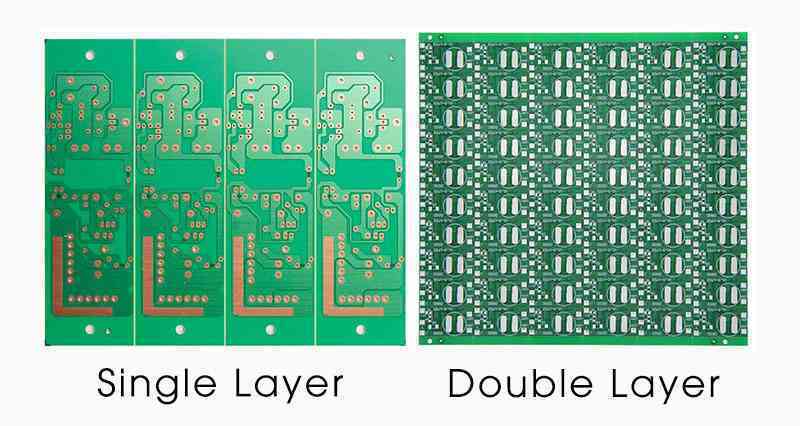 Because the led chip of G8LP was designed with a lens, although it is one side emitting, the lens on the led chip focuses the light in the center of the beam, the light beam angle is restricted. When in the projector, the light beam pattern is bright on central but much weak on wide. Its beam pattern show on the wall can explain the hotspot situation. The spotlight of the lens on the body results to a brightness that brighter in the middle and dim in both side. PF led headlight with an exterior driver. The test point 7, 6, 9 can reach 1924, 1968 and 1926 lux respectively, line 6 is 1346 lux, brighter than a halogen bulb. No dark spots. Test point 7, 6, 9 are 1132, 1124 and 1716 lux respectively, line 6 is 737.5 lux used in 3 inches projector. All of these three projectors led bulbs are suitable for xenon projector used. They are enough bright for road lighting. The PM and PF emit a good light beam pattern without dark spot. PF is brighter than PM. 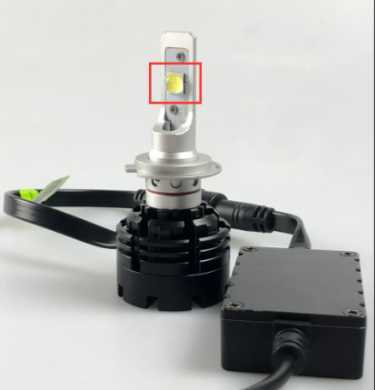 For the PJ led headlight, its uniform light emits a plat light beam pattern and do not have any dark spot. This bulb using with four side led chip technology, its beam angle is close to the 360 series led bulb. When we test it in the 2.5 inches projector, it performs a strange beam pattern, there is a dark spot in the center of the light beam pattern. All the test point did not have a high lux value. It is the same condition on the 3 inches projector, you can read it below. The four side led bulb did not perform well in the projector with a low lux value that could not provide a bright and wide beam pattern to meet the Road Safe Rules and the ECE/DOT STANDARD. After testing these 9 types led bulb, there is no big difference between 2.5 inches projector and 3 inches projector. The lux value used in 2.5 inches and 3 inches projector is showed as below, you can read it better. With the test of the above, we now know a uniform illumination is better for road driving when using in a xenon projector. And the light bulb with 360 degrees beam angle is good on beam pattern but different diameter will made different hotspot position. Lager diameter makes hotspot lower, that means good light in near distance but weak in long distance. No matter which bulbs you choose for projector use, it needs to comply with the Road Rules to ensure safe driving. To choose which beam pattern and brightness for road driving, you should choose a suitable one according to your own situation. The choice for projector led headlight introduced in this article is suitable for low beam, not for high beam. Do you like this essay? Share it with your friends or follow us on Facebook, we will keep you up to date with all the latest news. 2.Other ideas? Just write down the comment to let us know.